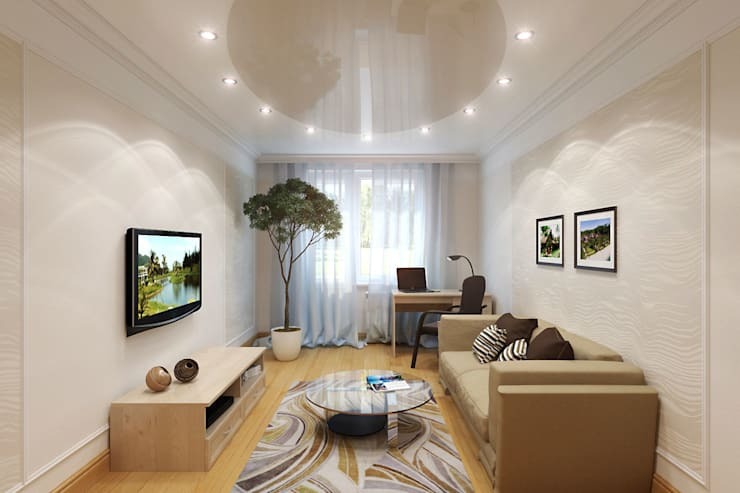 Your living room is not just a space where you receive guests or entertain friends. 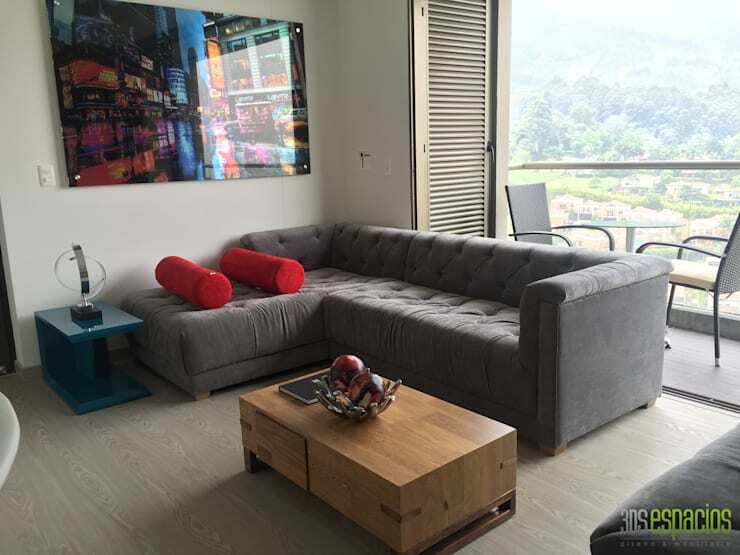 It is a room where you unwind after a hard day at work, watch a movie, or enjoy hot beverages on a rainy day. And needless to say, it is the first room that creates a lasting impression on visitors. 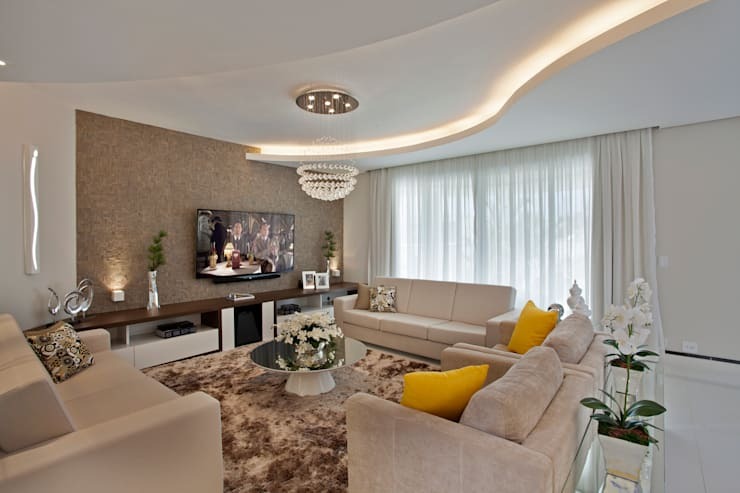 So naturally, your living room must be elegant, cosy and welcoming. It should be a reflection of your taste and ambitions as well. Check out these 17 rooms to gather awesome ideas now. Rendered by the architects at GLR Arquitectos, this living space combines gray, purple and black with sleek designs for a mysterious yet chic look. 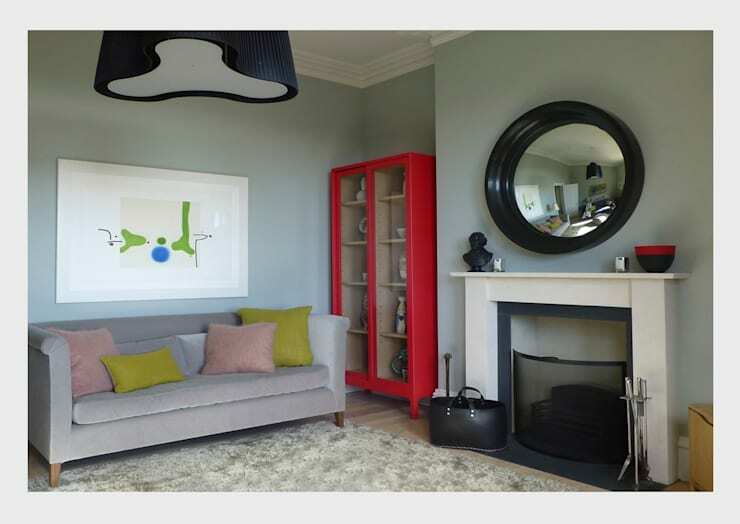 Bright and peppy colours, an abstract artwork and a quirky black lamp make this living room fun and creative. 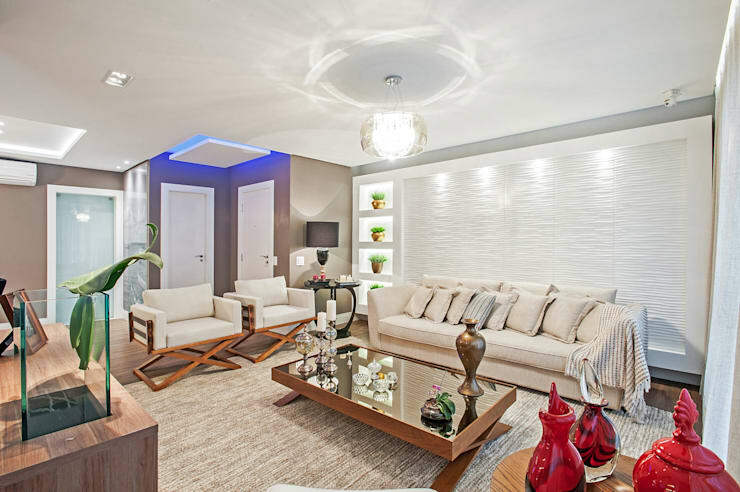 Modern furnishing, gentle hues and classic accessories come together to create a lavish and comfy living space. Potted greens and bright red pieces add life here. 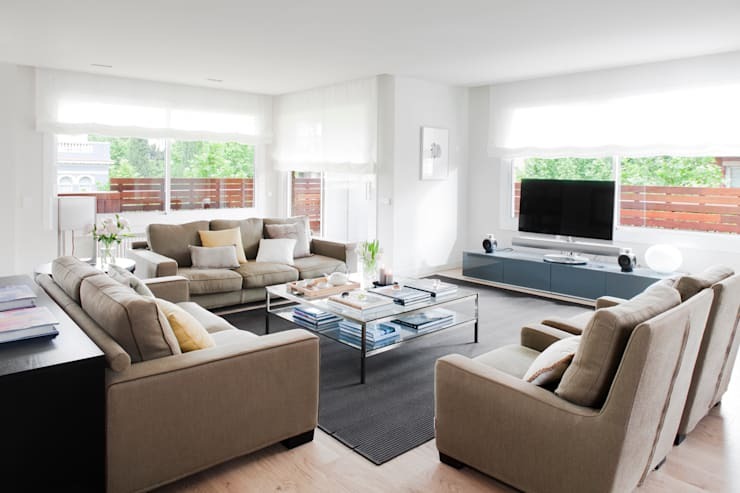 Simple and plush sofas, neat designs, soothing neutral colours and plenty of natural light are the highlights of this inviting living space. The blending of black and white and luxurious furnishing has made this living room timeless and elegant. 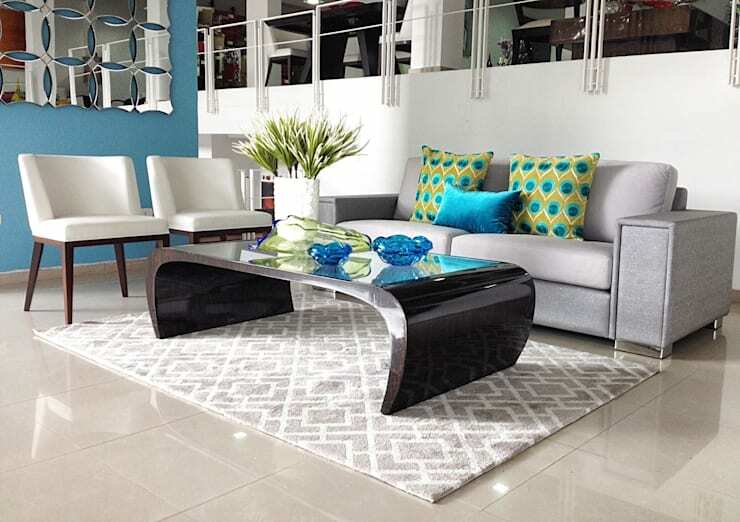 Shades of blue and green lend pizzazz to this gorgeous white, black and grey living area. Classic furniture, soothing pastel hues, beautiful lamps and a grand mirror make this living room seem like something from a fairytale. 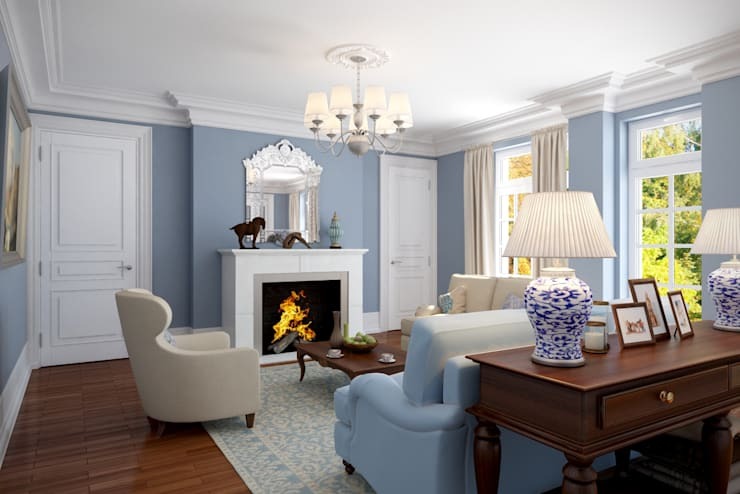 The traditional fireplace, latticed windows and soft drapes add to the drama. 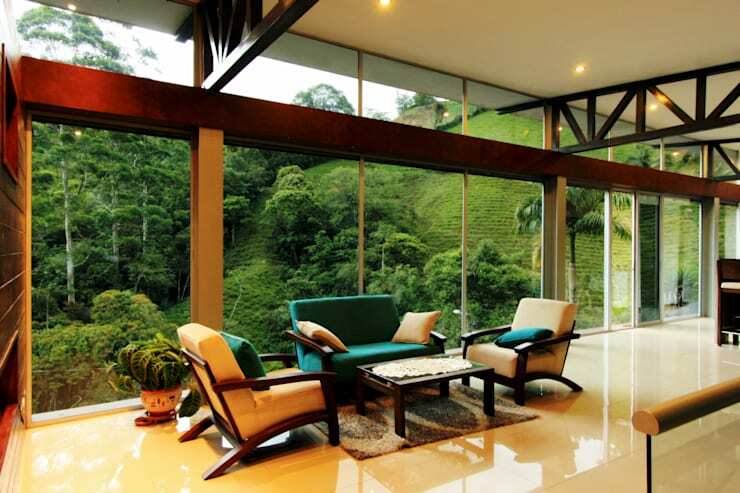 Glass walls offer this living space stunning views of the surrounding forested landscape. The teal and cream furniture looks classy as well. Bold red cushions and a multi-coloured artwork adds oodles of energy to the elegant grey sofa and wooden coffee table here. 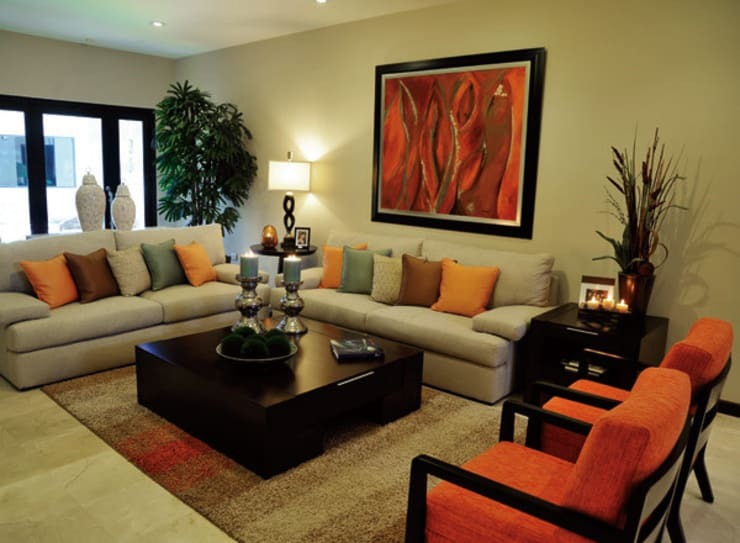 Earthy tones like orange, yellow, brown and rust dominate this inviting living space for a warm and cosy feel. Go wild with a jungle-themed living room! A tall potted plant, forest inspired artworks and safari prints on rugs and cushions can achieve this effect. 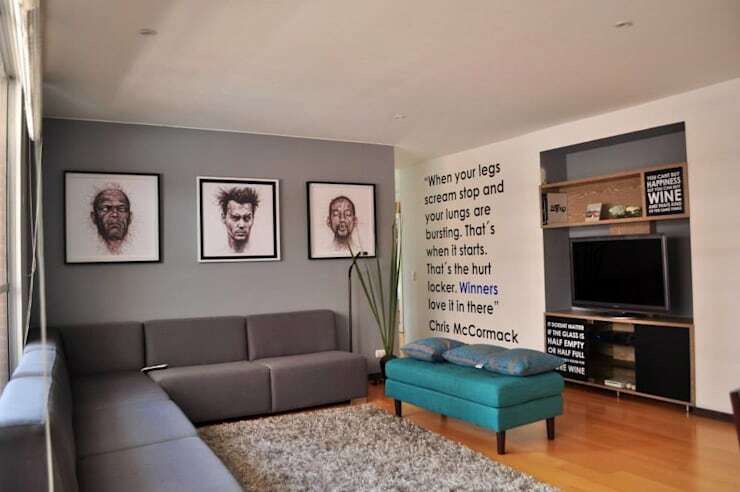 For an aesthetic yet bohemian ambiance, introduce soothing colours, positive wall quotes and pictures of those who inspire you in the living room. 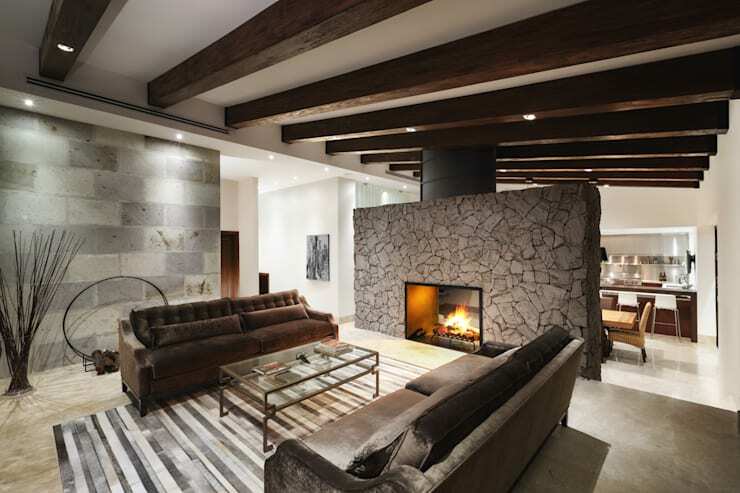 A rustic stone wall with inbuilt fireplace combines with robust wooden beams and soothing grey tones to create a spacious living room which is powerful and chic. This refreshing white and wooden living space combines indoor greenery with pretty pink and other lively hues for a tropical yet feminine look. 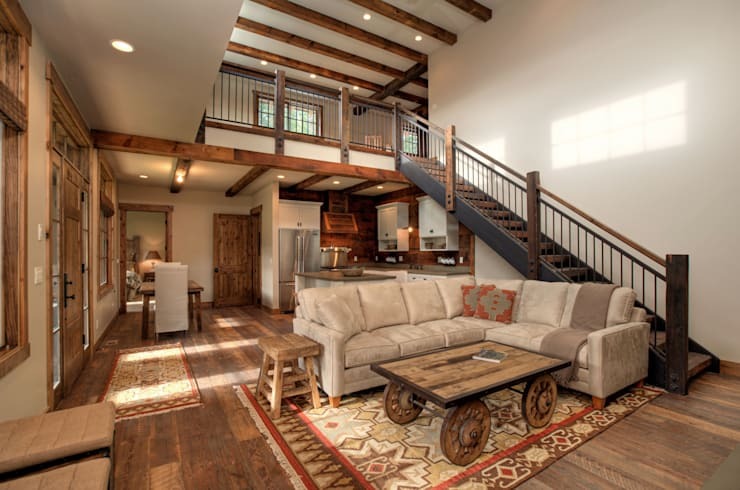 The lavish use of wood and bright, rustic colours infuse this living space with oodles of charm and warmth. Lively colours like pink, purple, green and the presence of a trendy fireplace make this white and wooden living room truly inspiring. Glass walls and skylights bring in tons of sunlight. Luxurious textures, soft colours, fresh flowers and a stunning false ceiling with recessed lighting steal the show in this living space.